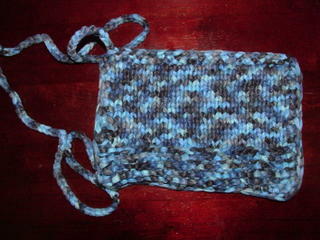 ....that I really have been knitting while I haven't been blogging! First, the hooded baby poncho, modelled by Pooh. I left the whole front seam open, and used four adorable buttons in the shape of prams. 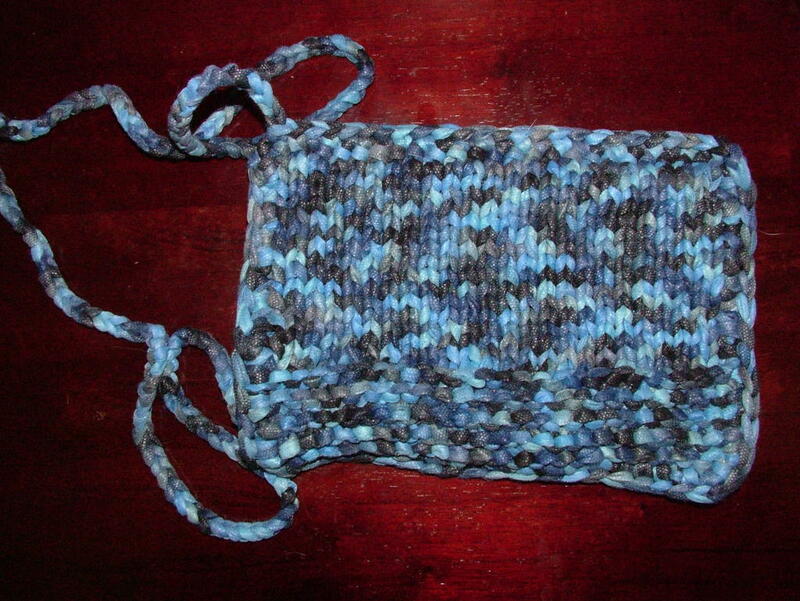 This is made from a tape yarn called Summer Fun, which I got from Get Knitted (NAYY). It's a kind of paper, something like a J-cloth, and very easy to work with. This took about a ball and a half, and is about paperback-sized. 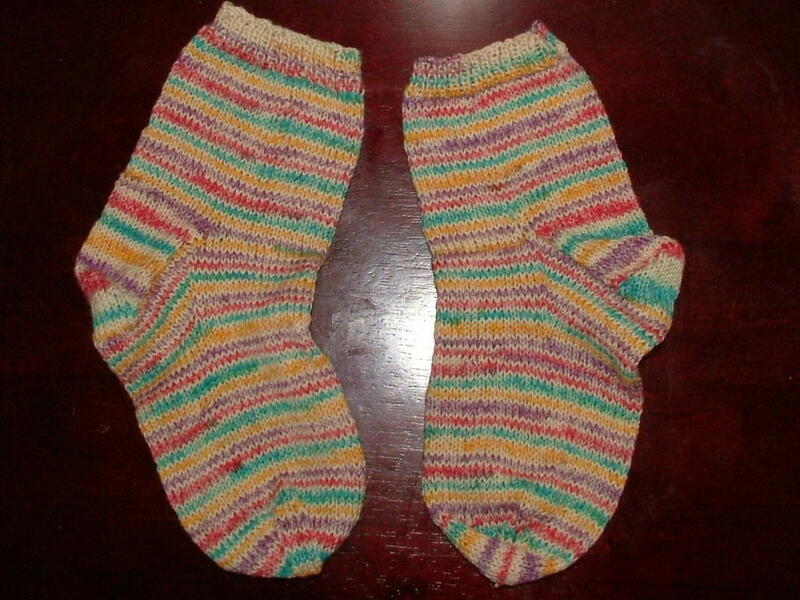 These are two-needle bobbled socks from a book called Textured Knits. 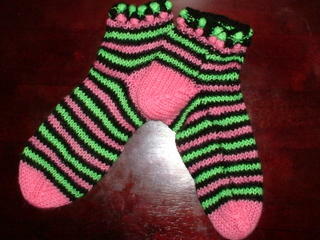 Being me, I decided to do them in vibrant stripes, so I did three rows of bobbles - one in each colour. Another pair of Opal self-striping yarn socks, for me. These are fab! And finally, my new labels. Aren't they great?? £9.50 for 36, from Minilabels (NAYY....). Oh wow. The socks are FAB!! And the other designs too. 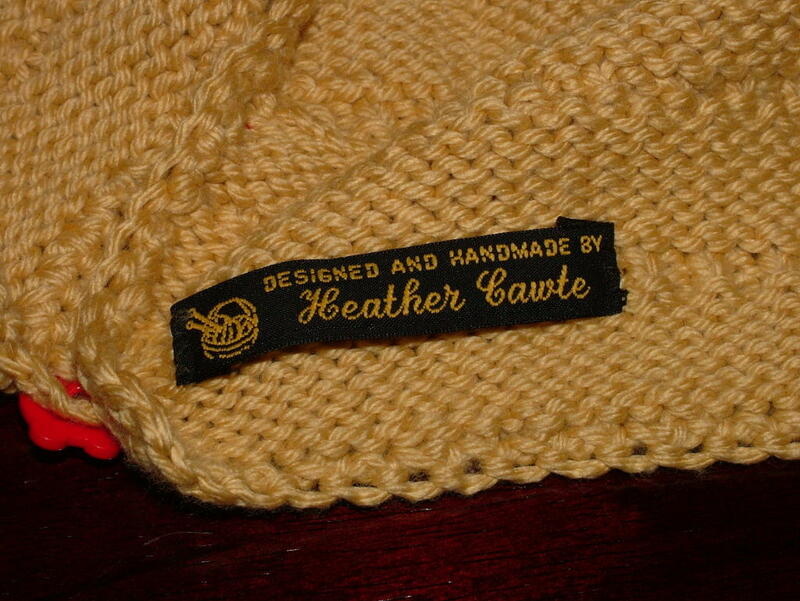 Am very tempted to get some labels made now - v. good idea! Looking forward to seeing the Dr Who scarf too! you've been a busy girl! 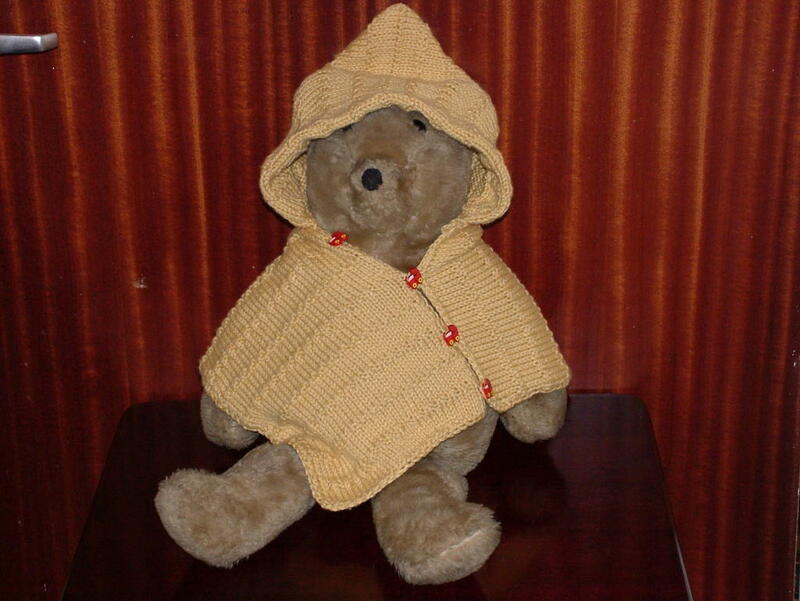 I love the poncho especially. Those labels are beautifully done; very professional looking. Congrats to you and thanks to Richard for help with the photos. Love the socks - and the labels. I have some like that too but keep forgetting to sew them into anything. Der!